Double-regulating balancing valve for mains and branch pipelines. To be used in conjunction with a V5000 Kombi-3-plus RED valve in the supply. • The hydronic balance is a significant requirement for the efficient operation of a hydronic heating or cooling installation. In an unbalanced system under or over the provision of hot water to individual radiators or circuits can occur. Apart from the correct selection of radiator valves, regulation of individual circuits is also necessary and in some cases, such as in DIN 18 380, VOB part C, required by national standards. 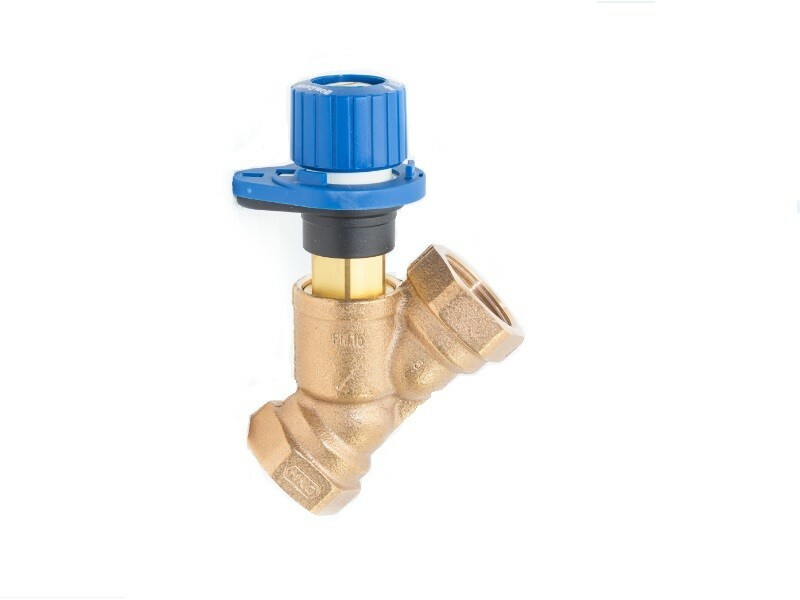 This requirement is met with Kombi-3-plus Series balancing valves. • The V5010 Kombi-3-plus BLUE for the return is a double regulating balancing valve with additional functions shutoff, draining and filling. Together with a V5012 Kombi-DP diaphragm unit the Kombi-3-plus can be upgraded to an automatic balancing valve even after the system has been taken into commission and under system pressure.